Posted 3/21/2019 9:15am by The Webb Family. Despite the official start of spring this week, the woods are still a bit slow to wake up. However, we expect the best sap runs are still ahead of us this week. 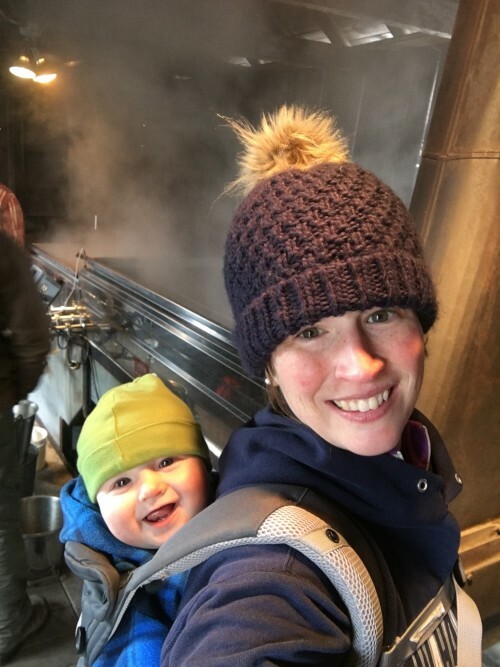 As a recap, we held our first boil in the sugarhouse Friday, March 15th and continued into Saturday and Sunday for our first open sugarhouse weekend. Over the course of last weekend, we made about 48.5 gallons of an Amber Rich maple syrup. A decent start, but nowhere near where we were by this time last year. If we are being optimistic, we can say there’s still a lot of season left and plenty of time to reach our typical goal of at least 500 gallons. Mother nature just needs to cooperate… we shall see. There has been much anticipation for spring this year, given our winter weather started back in November. Last weekend brought in plenty of visitors looking to find some signs of spring at the sugarhouse. Those that joined us got a chance to taste fresh syrup and try a sample of our Bourbon Barrel aged syrup. We aged our maple syrup in a bourbon barrel for a good portion of 2018 and bottled it up before we got started this season. Look for it on the shelves in a glass flask or plastic jugs. Yum! 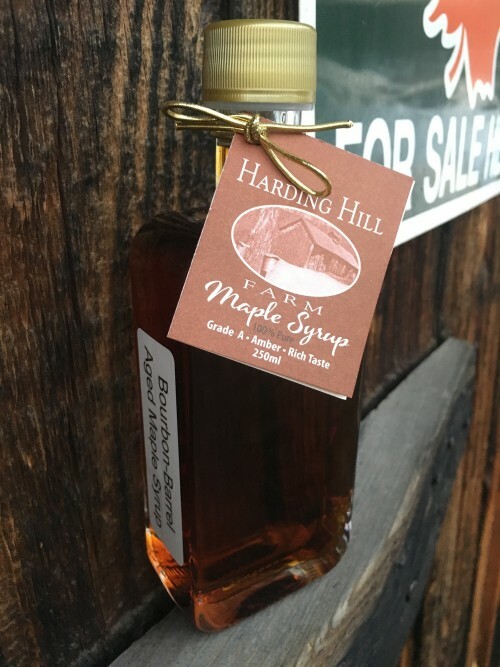 How would you use this syrup with a hint of bourbon flavor? Ty’s pick is a nice pour in his coffee, and I’m going with a steady drizzle over ice cream. Today will be our fourth day boiling for the season. 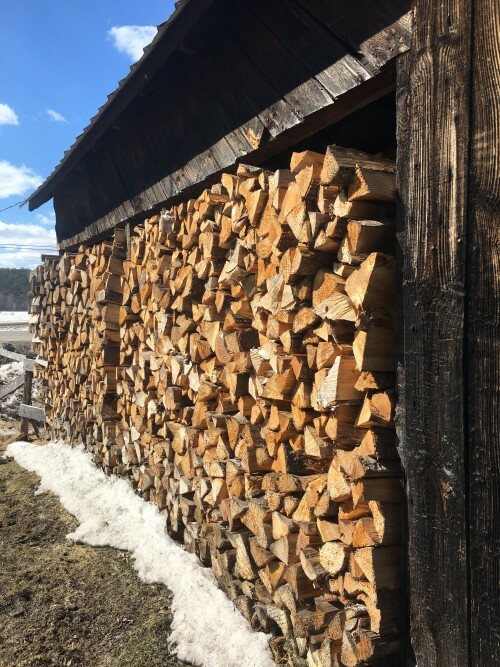 Yesterday’s weather gave us a slow and steady sap run, but the sloppy rain/snow event that ends Friday night should yield us even more. 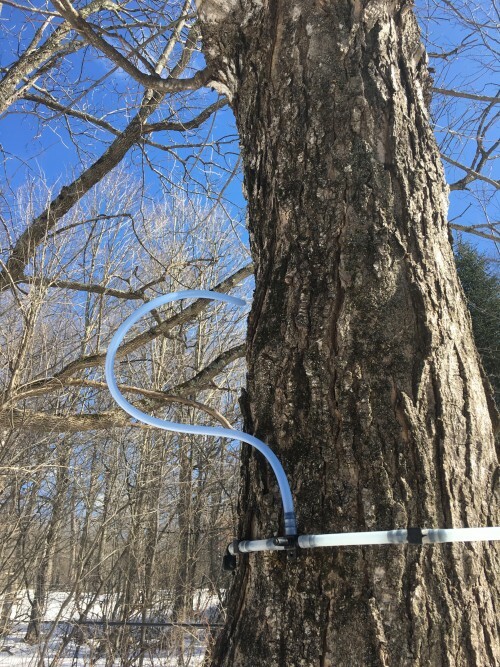 We should have plenty of sap on hand to celebrate our annual Maple Weekend! There will be plenty of maple syrup for tasting and maybe even some bourbon aged to try to. I’ll cook up some chorizo and short ribs to sample on Saturday. In the nicer weather on Sunday, we plan to serve up our homegrown beef sliders with sharp cheddar and maple drizzle. There may even be some ice cream on hand for dessert – with a fresh warm pour of maple on top of course! This is our biggest event of the year, so don’t miss it. The entire Webb family will be on hand to welcome our visitors and celebrate that spring is FINALLY here. 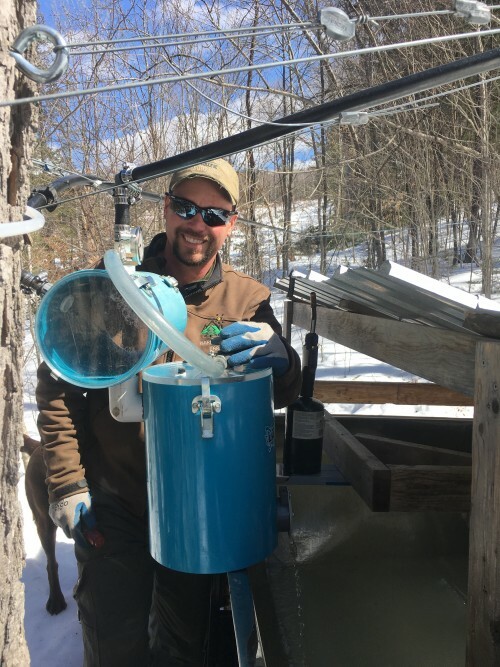 Join us for a New Hampshire Family Tradition to celebrate sugaring season at Harding Hill Farm! 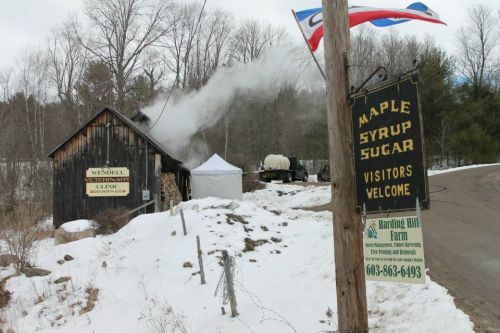 Visitors share in the sights, smells, and taste of fresh maple syrup while enjoying a tour about how its made. Maple weekend is the highlight of our season, please join us! We can't wait to see you this weekend! 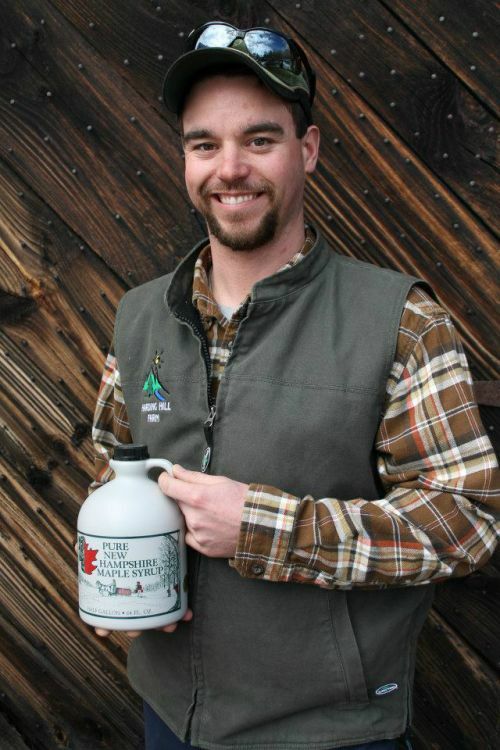 Maple samples, delicious homegrown beef, and plenty of smiles to go around. 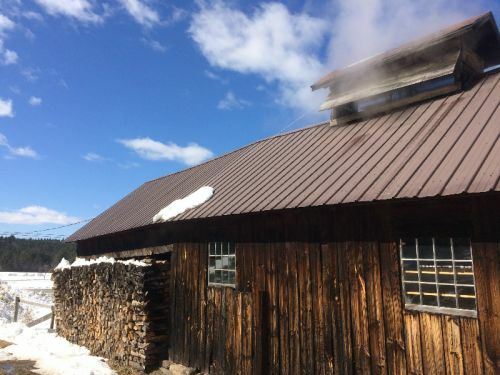 If only we could bottle up that maple steam too - part of what makes the sugarhouse smell like spring! Also - You may have spotted us in the Union Leader this week, as we prep for the weekend.